Clusters of white flowers in May and June and oval, dark green leaves, which redden in autumn and fall to reveal bright, yellow-olive winter stems. The stems of this dogwood look stunning planted alongside salmon-pink and red-stemmed varieties. An excellent specimen plant for sunny, moist areas of the garden. It's particularly effective near water. Garden care: In March cut the stems back hard to within 5-8cm from the ground and apply a generous 5-7cm mulch of well-rotted garden compost or horse manure around the base of the plant. 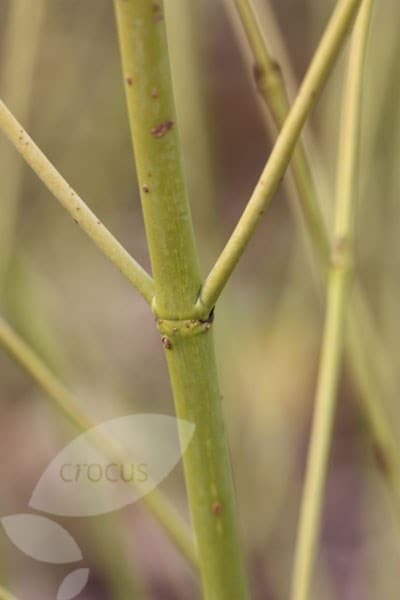 Where border space is limited restrict the spread of the plant by removing one in four of the stems each year. Nice winter display with their stunning stems. Looks fab in a winter pot. Planted in a winter pot with outside my front door with some ophiopogon planiscopus 'Nigrescens'. Looked lovely all through the winter. Can I prune my dogwood now? I have a small Cornus florida that was planted in the Autumn. It is bushier than I would like as I want a tree rather than shrub. Its starting to bud now and I probably should have pruned it in the winter, but is it too late now? 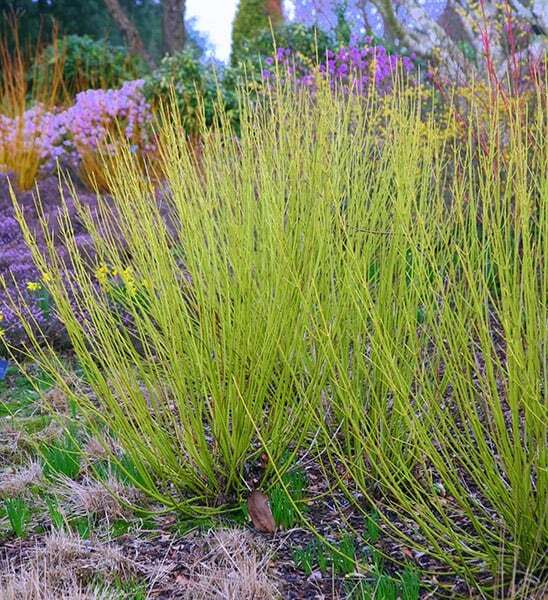 Ideally you should prune this Cornus in late winter or early spring. However you may still get away with it if you do it very soon. Just cut back the branches you don't want by pruning to an outward facing bud. With the garden devoid of summer froth and carpeted in autumn leaves, certain plants shine at this time of year. The well-placed shrub with lipstick stems fire up a winter's day and glow against a winter sunset.